Great open floor plan creates a relaxing and entertaining living area. Beautiful fenced in backyard with 2 outdoor living areas to enjoy - a patio off the house and brick sitting area that currently has a fire pit. nice 2 car garage with a floored attic space above to store all your extra items. Windsor Park offers a community pool, picnic shelter, playground, and ponds to enjoy a nice walk around. Street lights and sidewalks for added community safety. Directions:take 17/74/76 follow 74/76 west to turn right onto Enterprise Dr NE continue to follow to Pine Harbor Way turn left, then right on Southern Pine Dr.
SchoolsClick map icons below to view information for schools near 2042 Southern Pine Drive Leland, NC 28451. Home for sale at 2042 Southern Pine Drive Leland, NC 28451. Description: The home at 2042 Southern Pine Drive Leland, NC 28451 with the MLS Number 100150041 is currently listed at $182,000 and has been on the Leland market for 68 days. 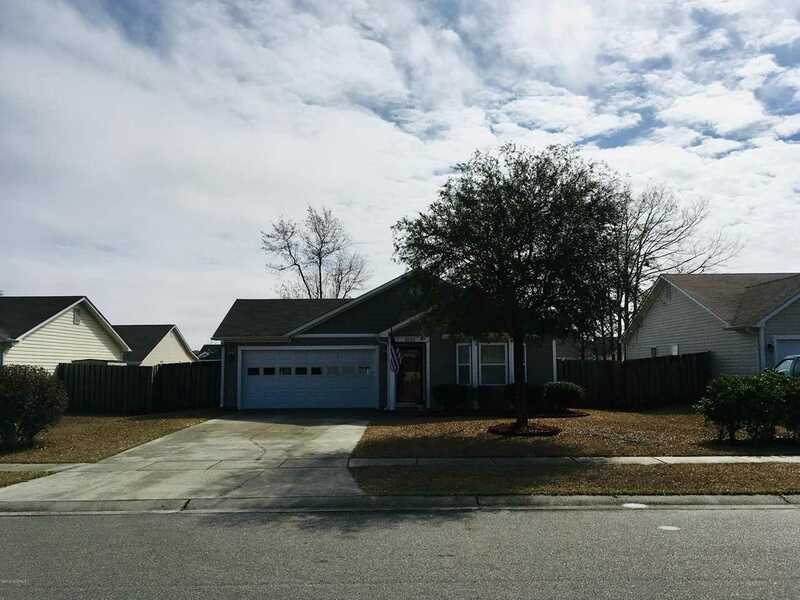 You are viewing the MLS property details of the home for sale at 2042 Southern Pine Drive Leland, NC 28451, which is located in the Windsor Park subdivision, includes 3 bedrooms and 2 bathrooms, and has approximately 1244 sq.ft. of living area.